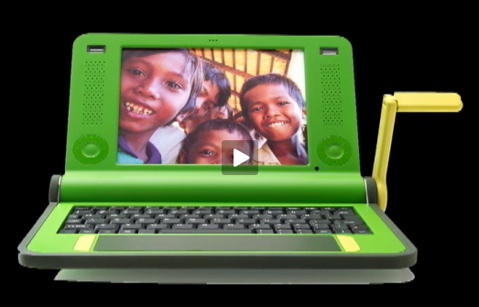 Here’s an interesting short video on the XO laptop, made for the poorest kids in the world. Various design breakthroughs made very low energy consumption possible, enabling a minute of crank time to give you ten minutes of usable time, not a bad tradeoff. Plus they’ve done clever things to make it more reusable, more recylable, less toxic. (via BoingBoing). The one above and at the bottom are from a series along one street just off the main canal. Not sure how they all tie together… they don’t seem to be related to any one shop or enterprise… but seem to have some good advice! The one below is for a Jazz CD shop. Just a few random shots from my wanderings in Antwerp last weekend. The building above reminded me of some Mayan temples. 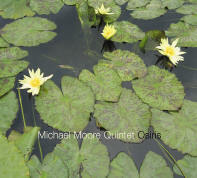 Made it into Amsterdam last night to see the Michael Moore Quintet on home ground, to a full house. Two very good sets, all five players were excellent, but especial kudos to the drummer, Owen Hart Jr., who played some great understated solos. At least one tune came from their last CD, Osiris, shown above. I’ve been listening to 1970’s Van Morrison for the last few weeks. Timeless stuff, with a few radio hits mixed in with very solid album tracks. Tupelo Honey and Saint Dominic’s Preview as well! One of the highlights in Antwerp was the Plantin-Moretus Museum housed in the former home and print shop, which was in operation for over 300 years starting in about 1576. The whole complex is very nicely kept up, and visitors have access to over thirty rooms in a variety of linked buildings that surround a lovely courtyard. One of the reasons for the long-lasting success of the company was that the founder Christoffel Plantin decided that the whole thing would be handed over to the descendant most competent to run it, regardless of birth order. Since Plantin only had daughters, the name Moretus came into the picture as the second chief, followed by many in the Moretus line. Plantin was the official printer in the area for the Spanish king, and grew quite wealthy. In the museum is an amazing book collection, including most everything the company ever did, along with treasures such as one of the earliest bibles (the so-called 36-line bible printed with Gutenberg’s type, but by another printer). On the weekend I took a little road trip down to Antwerp in Belgium, about a 2 hour train ride. Antwerp has had a storied history, perhaps peaking in power back in the late 1500s, and revived again by Napoleon in the late 1700s. I’ll write a bit more later, but here are a couple shots near the center of the old town. You always get a new perspective when you shift positions and look back at where you were. In that spirit, I found a book last weekend that is a look back both at the past and at America from a Russian perspective. “Ilf and Petrov’s American Road Trip” (2007 from Cabinet/Princeton Architectural Press) was initially published in the Russian equivalent of Life magazine back in 1936, a chronicle of the two satirical writers’ experience during a two month visit to the U.S. They drove back and forth across the country, taking photographs, picking up hitchhikers, and recording their observations. Here is a typical American city out West. It has none of those basic features that give a city character. There is neither distinctive architecture nor a crowd of people on the street. The sidewalks are empty. Instead, the road is full of automobiles. The youngster warmed up a little in the closed car and was glad to answer our questions. He was a typical young American man: talkative, self-assured, and incurious. Like all other young people we took from state to state on our trip, this one also didn’t ask who we were and didn’t bother to find out what language we would sometimes speak amongst ourselves, but was quite happy to talk about himself. Advertising has so permeated American life that if one fine day Americans woke up and found that all advertising had disappeared, the majority of them would be in a desperate position. It would be impossible to figure out things like: Which cigarettes to smoke? Which store to buy clothes at? Plenty of interesting photos and descriptions of America still in the midst of the Depression. 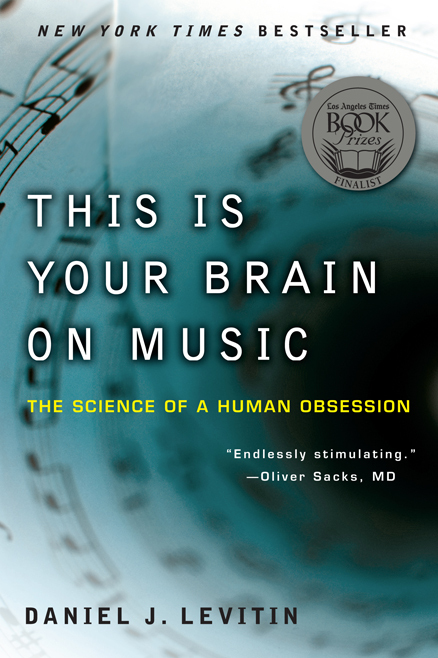 This is a good book for anyone who’d like to get a basic grounding on the terminology and structures of music – melody, tempo, pitch, etc. And it adds in research on just how it is that we are able to grasp so much from sound – for instance the fact that we can recognize a song even when it’s played with different instruments, at a different speed, in a different pitch, than the version we’ve heard before. Levitin has worked in the pop music biz, and his anecdotes add nice color to the story. I particularly liked the few pages on Joni Mitchell, an untrained musician who essentially makes up her own guitar chording. Apparently this approach caused no end of difficulty for her hired bass players (except Jaco) who couldn’t figure out what they were supposed to play without a thorough analysis of the notes in each of her chords. Re: Joni, I find I like her guitar-based songs better than the piano songs, and on just about all her albums from the seventies I really love about half the songs. I think, and Levitin agrees, that the unique chording makes for music that rewards repeated listening over the years. Parts of the castle date all the way back to 1391 but it was fully and lavishly re-built and expanded when the family heir married a Rothschild back in about 1890. It was a twenty year project architected by Pierre Cuypers, who also did the Amsterdam Centraal train station and the Rijksmuseum. It has the best handiwork you could buy at the turn of the last century, outfitted with Ming vases, Belgian tapestries from the early 1500s, etc. Quite a place, but unfortunately having some foundational difficulties now as it’s a bit too heavy for the marshy land it’s built on. Apparently family members still come back each year in September.